(Select the option drop down menu to pick your color). 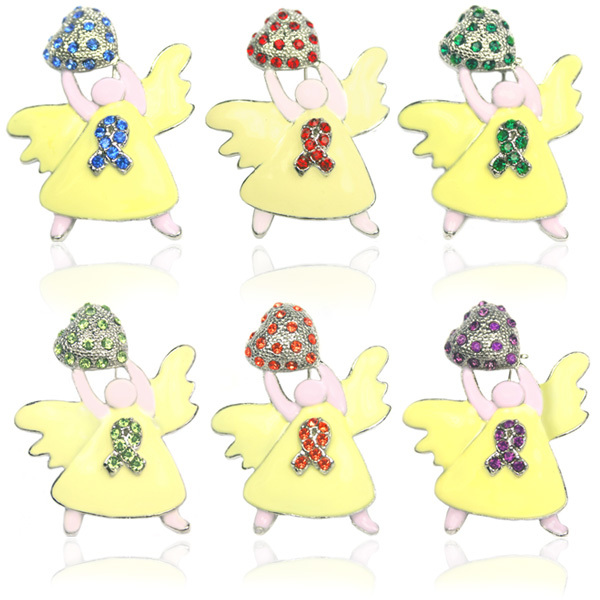 Angel Awareness Rhinestone Brooch - available in the colors you're looking for to do your fundraising! 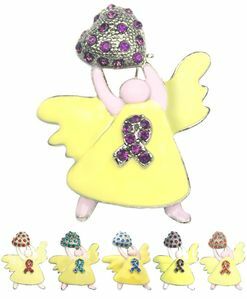 This classy heavyweight Angel Brooch is holding a heart and wearing a matching ribbon on her blouse. Plated in silver and includes a locking brooch pin back. These prices are great for resale or giveaways. An absolute great seller. Stock up for the holidays!